Bochanova Elena Nikolaevna – MD, Cand. Med. Sci., Assoc. Prof. of the Department of pharmacology with courses of clinical harmacology, pharmaceutical technology and courses of postgraduate education. Address: Partizan Zheleznyaka Street, 1, Krasnoyarsk, Krasnoyarsk region, Siberian Federal District, Russia, 660022. Zhuravlev Dmitry Aleksandrovich – MD, Lecturer of the Department of Management and Economics of Pharmacy with courses of postgraduate education education. 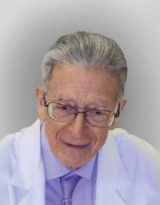 Nozdrachyov Konstantin Gennad’yevich – MD, D. Med. Sci., Prof., head of the Department of Management and Economics of Pharmacy with courses of postgraduate education. Bogdanov Vyacheslav Vladimirovich – MD, Cand. Pharm. Sci., Assoc. Prof., the Department of Management and Economics of Pharmacy with courses of postgraduate education. Shnayder Natalia Alekseyevna – MD, D. Med. Sci., Prof., head of the Department of Medical Genetics and Clinical Neurophysiology of the Postgraduate Education Institute, head of the Neurological Center of Epileptology, Neurogenetics and Brain Research. Dmitrenko Diana Victorovna – MD, D. Med. Sci., Assoc. Prof., the Department of Medical Genetics and Clinical Neurophysiology of the Postgraduate Education Institute, neurologist-epileptologist of the Neurological Center of Epileptology, Neurogenetics and Brain Research. Kozhukhova Elena Ivanovna – MD, head of the Department organization of drug supply. Address: Red Army Street, 3, Krasnoyarsk, Krasnoyarsk region, Siberian Federal District, Russia, 660017. Bikulova Tatiana Vladimirovna – MD, deputy head of the Department organization of drug supply. 1. Bochanova E.N., Veselova O.F., Shnayder N.A., Dmitrenko D.V., Zhuravlev D.A. Evaluation of the frequency of off label prescribing drugs for children with epilepsy. Proceedings of the V Anniversary of the Baltic Congress of Child Neurology. St. Petersburg: The Man and His Health. 2015: 68 (In Russian). 2. Dokukina T.V., Golubeva T.S., Matvejchuk I.V., Mahrov M.V., Loseva V.M., Krupen’kina E.V., Marchuk S.A. FARMAKOEKONOMIKA. Sovremennaya farmakoekonomika i farmakoepidemiologiya / Pharmacoeconomics. Modern pharmacoeconomics and pharmacoepidemiology. 2014; 2 (7): 33-37. 3. Kritskaya J.A., Shnayder N.A., Shirshov Yu.A. Clinical and epidemiological characteristics of epilepsy in the Trans-Baikal region. Epilepsiya i paroksizmal’nye sostoyaniya / Epilepsy and paroxysmal conditions. 2012; 1: 23-28 (In Russian). 4. Approval of the list of vital and essential drugs in 2015, as well as lists of drugs for medical use and a minimum range of drugs required for medical care: the disposal of the Government of the Russian Federation № 2782-r from 30.12.2014. Collection of Laws of the Russian Federation. Legal literature. 2015; 3: 2027-2108 (In Russian). 5. Approval of the Territorial program of state guarantees of free provision of citizens of the Russian Federation medical care in the Krasnoyarsk Territory for 2015 and the planning period of 2016 and 2017: Decree of the Government of Krasnoyarsk Region № 636-p from 23.12.2014. Statements of highest government departments of Krasnoyarsk region. 2015; 2 (682): 158291 (In Russian). 6. Government Decree № 890 from 30.07.1994 (ed. by 14.02.2002) «On state support of development of the medical industry and improving the provision of population and public health drugs and medical products». Collection of Laws of the Russian Federation. 1994; 15: St. 1791. 7. Sura M.V., Gerasimova K.V., Omel'janovskij V.V., Avksent'eva M.V. FARMAKOEKONOMIKA. Sovremennaya farmakoekonomika i farmakoepidemiologiya / Pharmacoeconomics. Modern pharmacoeconomics and pharmacoepidemiology. 2015; 4: 19-28. 8. Federal Law № 178 from 17.07.1999 (as amended by Federal Law № 122 from 22.08.04) «On state social assistance». Collection of Laws of the Russian Federation. 1999; 29: St. 3699 (In Russian). 9. Federal State Statistics Service. Evaluation of the resident population at January 1, 2015 and the average for 2014. Access: http:// www.gks.ru/free_doc/new_site/population/ demo/Popul2015.xls (date of available 03.07.2015). 10. Shnayder N.A., Shevchenko O.I., Rossiev D.A., Shulmin A.V., Dmitrenko D.V. State of medical care for patients with epilepsy in the adult population of the city of Krasnoyarsk. Clinical epileptology. 2009; 1: 85-91 (In Russian). 11. Epilepsy. Newsletter number 999, October 2012 Access: http://www.who.int/mediacentre/factsheets/fs999/ru/ (date of available 03.07.2015). 12. Shnayder N.A., Dmitrenko D.V., Sadykova A.V., Sharavii L.K., Shulmin A.V., Shapovalova E.A., Pilyugina M.S., Darsavelidze O.K. Epidemiological studies on epilepsy in Siberia. Medical and health science journal. 2011; 6: 35-42.